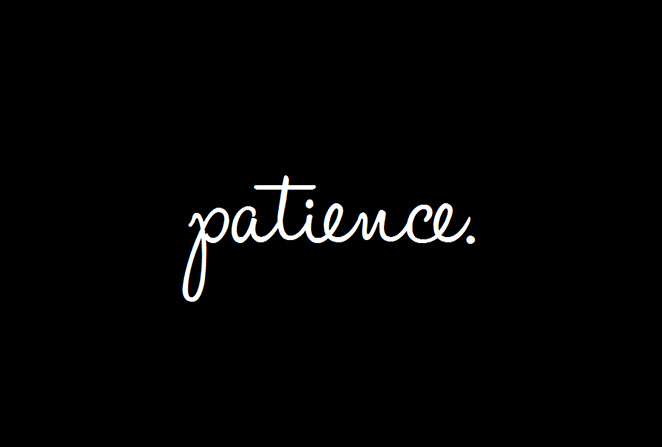 ATIMAGAZINE | BLOG: Be patient, good things take time! I have learnt to embrace the downfalls and challenges that arise and face them hands on. For the last two years I've been working on ATI. Two years ago I drew up a little sketch in a pad back in UNI and I have been working on my magazine and web series since. Not coming from a degree in film making and audio but design, this has been an incredible learning curve for me, one of which I am still on and will be on for a while. Over the last few months I do feel that my patience with this is paying off and the vision in which I have had from the very beginning is starting to present itself to me. I believe the only reason this now happening is through my persistence and patience of knowing good things really do take time. If anyone out there is reading this post and feeling fustrated or feeling like things are impossible, they are not. You will keep hitting brick walls, but embrace it rather then let it stop the vision in which you are trying to pursue. Everything eventually leads somewhere and whether that’s where you wanted to end up or not, it’s usually a place in which you could of never imagined and always a far better place then where you were. "Fail, fail, fail and fail better"
I’ve done so much this year that I’ve wanted to do over the years, little things, small things and that sense of accomplishment when you reach goals and ambitions is great. Especially so, when someone else doubted it could happen and said you couldn’t do it, it is one of the best feelings in the whole world. I hope you enjoyed this little heart-felt post, it’s not often I do these but this is something I wanted to share to anyone who may read this, you have got this, you can do it, I believe in YOU.